When Ghana became independent from British colonial rule in 1957, culture played an important role in the country’s unification, explains Odile Tevie when we meet on the shaded terrace of the Nubuke Foundation, a non-profit arts organisation in Accra’s East Legon district. The artist and educator Kofi Antubam, for example, carved the door panels for the entrance of the former legislative assembly: they are now kept at the National Museum in Accra, which was itself founded to mark the country’s independence. The arts had the potential to draw different regions and tribes together, and culture was fostered in an effort to create a new national identity. Those times have long gone. Public funding for the arts in Ghana today is practically non-existent. There is no dedicated national art museum, and the ‘fathers’ of Ghanaian art, whose work is vividly illustrated in Atta Kwami’s book KUMASI REALISM, 1951–2007: An African Modernism, are not widely represented in public spaces. Anyone wishing to learn about the country’s art scene (particularly outsiders like me with no immediate connections to Ghana) must be introduced to it by people in the know. Once that introduction has been made, however, a network of artists and arts producers begins to open up – particularly in the capital. 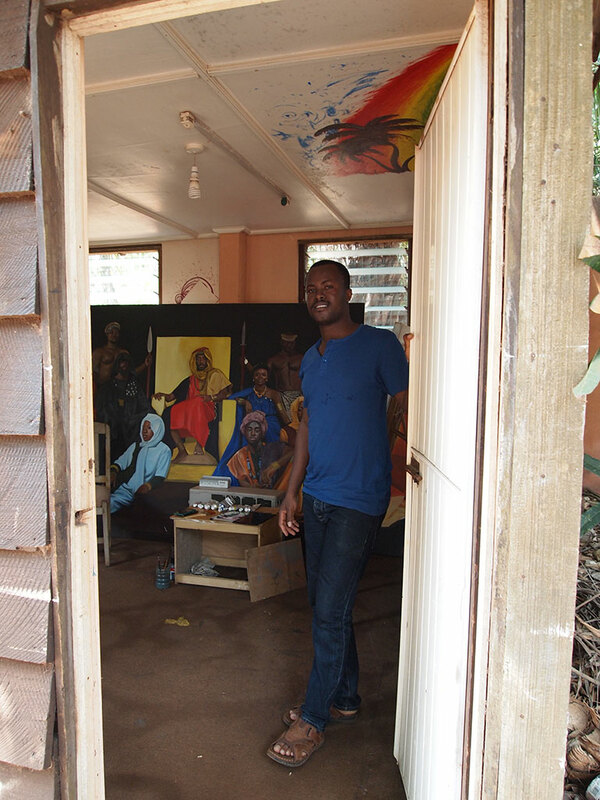 The 10 year-old Nubuke Foundation, of which Tevie is a director, is a crucial part of this scene: it is one of the country’s most experienced independent art spaces, acclaimed for its promotion of Ghanaian art’s historic and cultural merit. During my visit, I am lucky to catch a thoughtfully hung exhibition of works by photographer Eric Gyamfi, who depicts everyday life in Ghana while subtly examining social systems and stereotypes of gender and sexuality. 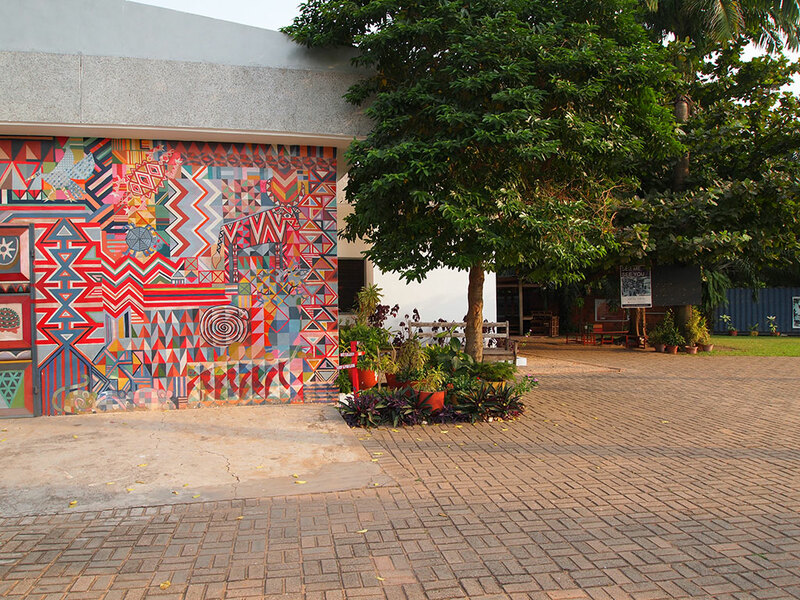 Permanently on display at the foundation entrance is a colourful mural, created by Bernard Akoi-Jackson during a residency with the help of locals and visitors: as with most creative endeavours in Ghana, the work was born out of community spirit. Akoi-Jackson is best known for his performative work, and is currently finishing his PhD at the outstanding College of Art and Built Environment at the Kwame Nkrumah University of Science and Technology (KNUST) in the city of Kumasi. 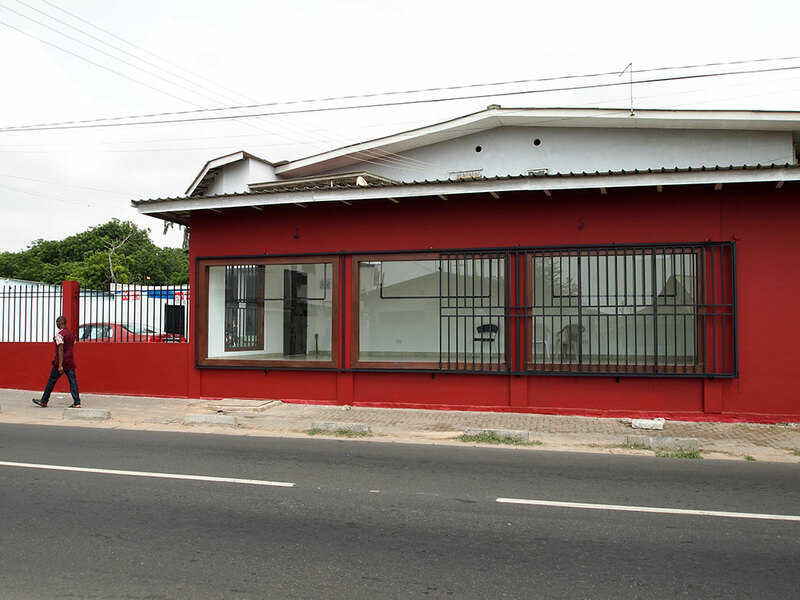 Another destination in Accra is Gallery 1957, the city’s first internationally operating contemporary art gallery, which was founded last year by the collector and businessman Marwan Zakhem. Based in the luxury environment of the Kempinski Hotel Gold Coast City, the gallery is about to open ‘Rituals of Becoming’, the debut show of Ghanaian-Togolese artist Va-Bene Elikem Fiatsi, who works under the pseudonym crazinisT artisT. He will present his challenging performances dealing with gender stereotypes from 26 February–12 March. The presence of foundations and galleries such as these supports artists who live and work in the sprawling city. Through Gallery 1957, I’m introduced to Jeremiah Quarshie, whose studio in the courtyard of his parent’s suburban house showcases some of his hyperrealistic paintings. These works are created from staged photographs, resulting in multi-layered scenes exploring aspects of African identity. 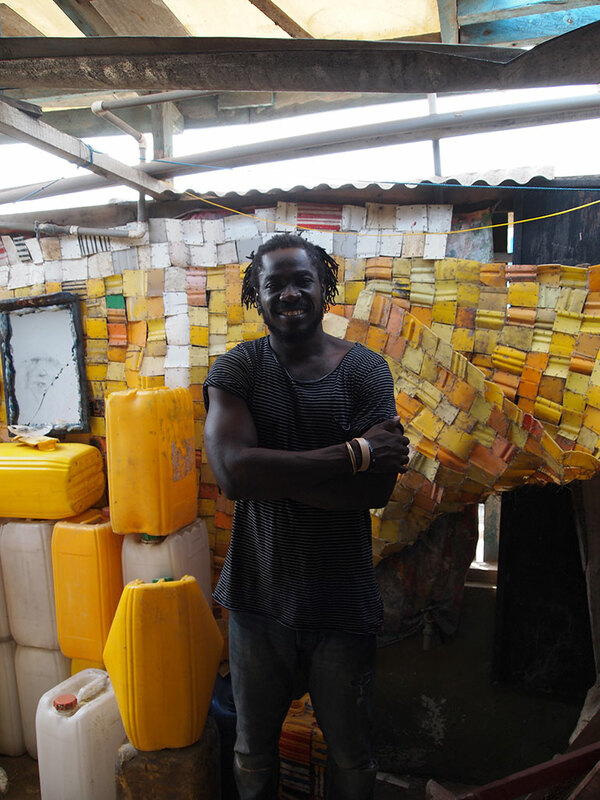 Not far from Accra’s Artist Alliance Gallery (which sells everything from arts and crafts for tourists to paintings by established artists) is Serge Attukwei Clottey’s studio in Labadi, a labyrinthine space filled with finished and half-finished works which make use of found materials to comment on city consumption. Clottey, who is deeply inspired by his local community, is also behind the GoLokal performance collective, and talks passionately about art as a way to transform society. 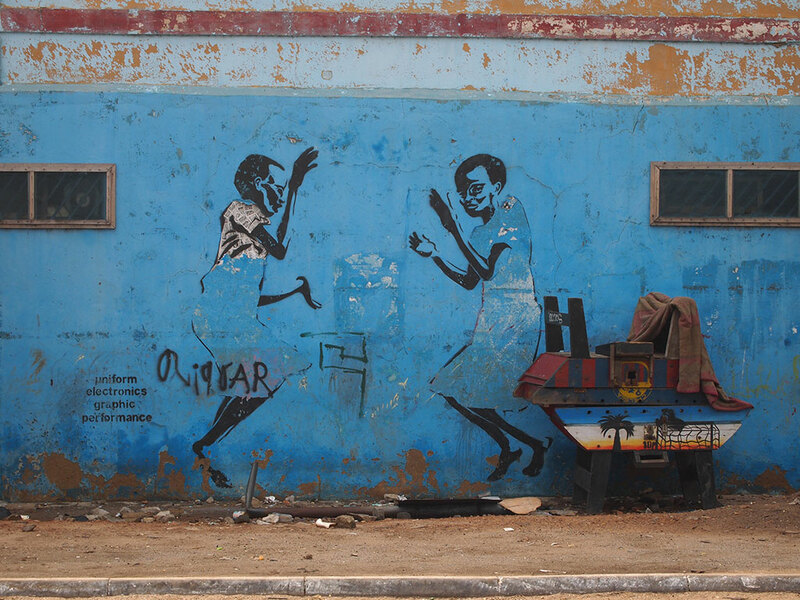 Last summer, Clottey participated with a large group of people in the Chale Wote Street Art Festival, an annual celebration in James Town – one of the oldest parts of Accra. At the suggestion of Mantse Aryeequaye, a member of the ACCRA [dot] ALT team that produces the festival, I explore the area one morning. Even in February, long after the last event, this poor but proud neighbourhood is a reminder that the sine qua non of Accra’s art is not to be found in luxury hotels but on the streets of the city, where every piece of hand-painted signage or graffiti, every photo studio and after-school drawing class, speaks of the urgency of art and its potential to change life. There are changes afoot in the Ghanaian art world. 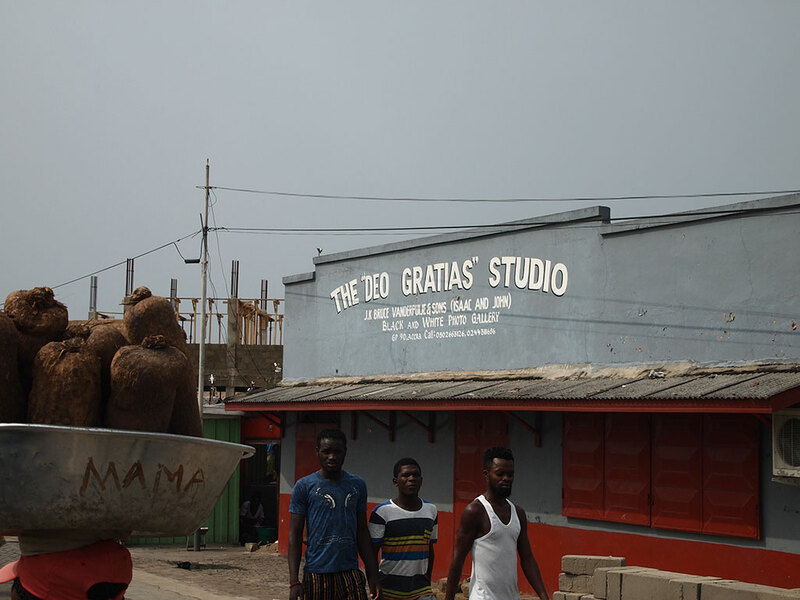 The Nubuke Foundation, ACCRA [dot] ALT, and other established independent cultural organisations including the Artist Alliance Gallery and the Foundation for Contemporary Art (FCA), have worked consistently to support artists and creative communities in the city. In addition, a new generation of creative professionals is emerging, consolidating existing networks and creating new ones both locally and internationally. In March, Nana Oforiatta-Ayim – a young, internationally educated art historian, writer and film-maker who founded the cultural research platform ANO in 2002 – will open a new permanent space in the up-and-coming district of Osu. The inaugural exhibition, ‘Accra: Portraits of a City’, will explore the capital and the ‘birth of modernity’ in Ghana, and coincides with the 60th anniversary of the country’s independence. On my visit to the venue, I meet Dr Zagba Oyortey, executive director of the government’s Ghana Museums and Monuments board. Oforiatta-Ayim has her hands in many pots, as do all the creatives in the country. Their impact might as yet be small and local, but they are clearly aiming high. My ticket to the Chale Wote Street Art Festival, which this year coincides with the highly anticipated degree show of the art school in Kumasi, is already booked. ‘Rituals of Becoming’ is at Gallery 1957, Accra, from 26 February–12 March. ANO’s new space opens in Accra on 4 March. The inaugural exhibition, ‘Accra: Portraits of a City’ runs from 4 March–1 April 2017. Does South Africa have what it takes to become a global art market hub?